Fit Tea Detox is a familiar name especially if you’re active on Instagram. 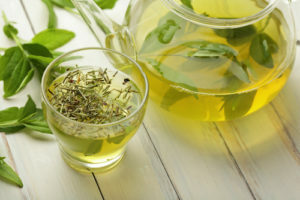 This product is an organic tea that features a potent mixture of herbs. When taken alongside proper nutrition and fitness plan, the use of Fit Tea Detox is said to deliver multiple health advantages. This includes increased energy levels, enhanced immune system, metabolism and improved mechanism for the body to torch fat. Actually, all products of Fit Tea Detox come from organic sources, which are evaluated and tested via third-party reviews. These are also manufactured in the United States. These products don’t contain gluten, dairy and soy. Fit Tea Detox appears as a loose tea in a bag. Use of this product is quite simple. Just put a tea bag which contains 2 grams in a cup of hot water and wait for 3-5 minutes. After, take out the strainer; you can choose to put honey or lemon for additional flavor. You can drink a cup of Fit Tea Detox daily each morning with or without breakfast. Doing so will bring your body and overall health gains. As mentioned, Fit Tea Detox is quite prominent especially on Instagram. Thus, social media is really a relevant tool for marketing purposes since it can catapult individuals or even products into stardom, just like Fit Tea Detox. This product is famous, but is it only some sort of a marketing hype, or can it really deliver on its claims and promises? We’re about to find out. Let’s tackle Fit Tea Detox’s greatest assertions first – weight loss and detoxification. 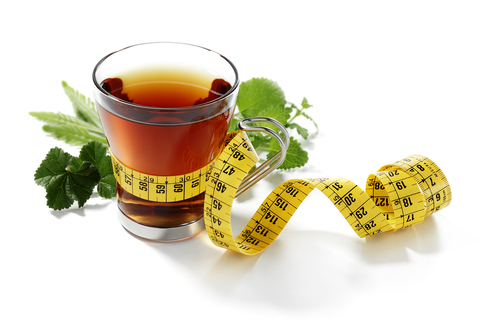 Can Fit Tea Detox Promote Weight Loss? Can Green Tea Make a Difference? For one, green tea is believed to deliver multitudes of health gains, but why? This is primarily because of the antioxidant catechins that it provides. Catechins, in many studies, have shown to be helpful in protecting your cells from being damaged. This antioxidant has also been demonstrated to increase circulation, decrease cholesterol, enhance mental performance, regulate blood sugar levels, and reduce blood pressure and many other health benefits. On the other hand, there’s insufficient clinical proof that green tea can also promote weight loss. Sure, the caffeine in green tea can increase energy, make you more alert and focused, and improve your metabolism, but you can also encounter these effects by consuming other drinks that have the same quantity of caffeine. Detoxing is getting more known nowadays as a form of cleansing our body from toxins, however, most experts believe that the body does not need detoxification in the first place. Also, Fit Tea Detox does not really have special ingredients that can give some sort of cleansing result aside from the antioxidants. It is important to note that these other components are not presently backed by clinical studies in their claims of weight loss. However, also remember that we’re not implying that these components don’t have any positive features for health gains. They do, but not something that can be directly associated with weight loss. For instance, Rooibos is rich in vitamin C, so it is helpful to strengthen your immune system and steer clear of medical problems. Ginger may also be efficient in addressing lots of medical ailments like arthritis and period cramps. And of course, caffeine can give a momentary mental boost. 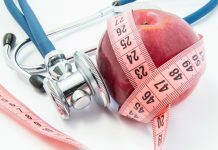 While the components in Fit Tea Detox may not fully work as a weight loss or detoxification agent, what about the supplements they’re offering? Let’s go to the Fatburner first. 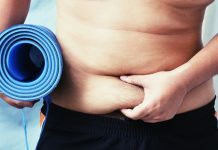 As its name implies, it claims to burn fat, but the links provided on the website don’t really mention of direct clinical evidence that the components here can promote weight loss or even help the body in detoxification. To reiterate, some of the components here may give some health gains, like the nutrients in kelp or the antioxidants in acai, but none of these are connected to losing weight or detoxifying. Then there are the garcinia cambogia and forskolin. Both components are frequently used in weight loss products, so we’re pretty much familiar with these two. But in the end, there’s no scientific proof that these ingredients can aid dieters in their quest to weight loss. All orders made in the United States also offer free shipping regardless of the package you purchase. Orders made outside the country have shipping fees of $10. Local purchases take around 5-10 business days. On t he FAQ section on the official site, refunds are provided until the order has started processing. Otherwise, refunds are not allowed. On the product website, Fit Tea products garnered an average score of 4.9 stars. This is based on almost 700 consumer feedbacks. 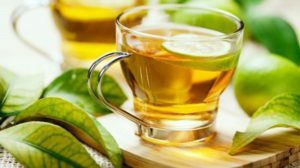 Positive reviews usually cite energy boost, suppressed hunger, delicious taste, safety as there aren’t adverse effects and effectiveness as a weight loss product to be Fit Tea Detox’s strongest features. On Amazon.com, the 28-Day Fit Tea Detox earned 2013 user feedbacks as of this writing. It got an average of 3.8 stars. Most customers appreciate the same features that were mentioned on the product website such as efficiency for heightening energy, delicious taste and its usefulness as a weight loss agent. Meanwhile, there were also negative comments, too, with some citing its ineffectiveness and its bad taste. Diet Pills Watchdog granted the product a “rejected” standing. This is mainly because the manufacturer exaggerates the possible outcome of some of the components; the components that are said to bring fat loss aren’t potent enough to bring such change, and the company’s failure to include a money-back guarantee. Fit Tea as a company is listed with the Better Business Bureau, but it only got an F rating. This is based on nine closed complaints. Seven of these complaints, the company was not able to make the proper response, hence the F rating. The grievances of the customers were mostly about its lengthy shipping duration and wrong orders. This is of February 24, 2016. Final Verdict: Is Fit Tea Detox Value for Money? The product’s components lack the clinical substantiation that these can bring about weight loss benefits, or help in detoxification. These are only purely assertions that are not supported by scientific means. On the other hand, Fit Tea Detox seems to be well-liked by many consumers as the feedbacks online are mostly excellent. Users also think that the manufacturer is devoted in making herbal teas that can bring health gains. 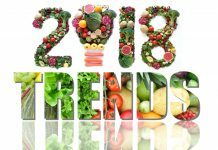 Plus, the company is straightforward about their product not being some kind of miracle solution for weight loss as they also advise their customers to practice proper nutrition and exercise regularly. It is a fact that the only effective means in weight loss is eating right and following your fitness plan on a regular basis. Weight loss products only act as supplementary means. Also bear in mind that once your order has been processed, you no longer can get any refunds, so trying Fit Tea Detox out is also financial pledge on your part.